1.2 What are the advantatges of eating fruits very rich in vitamin C as kiwis? 1.12 Why does kiwi spoil milk? 1.13 How to eat kiwi fruit? 1.14 Whose kiwifruits are best? 1.15 Who should not eat kiwi fruits? Is kiwi the richest fruit in vitamin C? 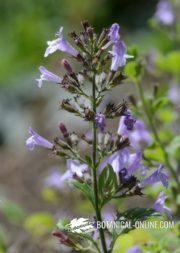 Does it help to improve constipation? Kiwifruits are among the fruits with more vitamin C (98 mg per 100 g weight) the are really only surpassed by guavas -183 mg- and blackcurrants – 191 mg. Kiwis have more vitamin C than lemons (53 mg) and oranges (48 mg). A medium piece of this fruit, that is a kiwi about 75 gr., contains 74.5 mg of vitamin C, that’s to say, 82.7% of the daily recommended amount of vitamin C. Its content almost doubles that of the orange, as the last fruit, with an approximate weight of 140 gr. contains 80.2 mg. Eating a kiwi every morning is almost a way of ensuring the daily ration of vitamin C.
What are the advantatges of eating fruits very rich in vitamin C as kiwis? Kiwi fruits help lower blood pressure because of vitamin C and its high potassium content. 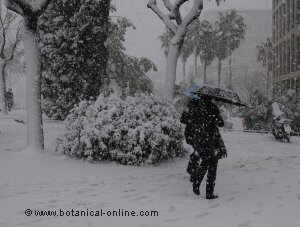 Vitamin C, although it does not help prevent cold, reduces cold symptoms and accelerates its healing. 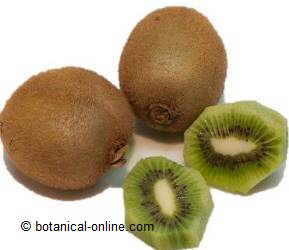 Kiwis benefits: They have a lot of fiber and vitamin C, it is suitable for the whole family. 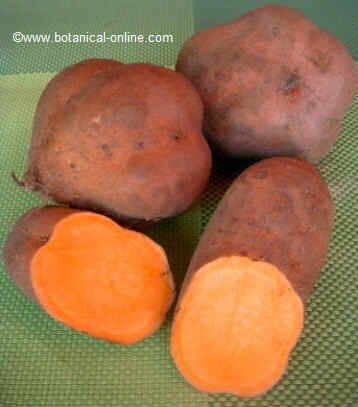 It is very important for smokers to eat a lot of this fruit as tobacco smoke destroys vitamin C.
It is also recommended for drinkers, because alcohol is a major oxidant. 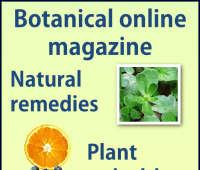 People with diabetes, allergy, pregnant women or aging people would benefit greatly from its use. People with a muscular strain or a broken bone will benefit from the restorative properties of this vitamin. Women during menopause will produce more estrogens, so they will reduce hot flushes. It has been demonstrated that vitamin C helps prevent nervousness. Kiwifruit can be considered a useful food to reduce the stress of modern life. Together with magnesium, very abundant in this fruit, vitamin C helps us to feel calmer and safer, facing problems of life more securely. Before a competition, before a job interview, in any stressed situation this fruit will calm our nerves helping us to overcome any challenge easier. It should be mentioned the importance of this fruit has, both for its content of vitamin C and E, in the sight conservation and prevention of eye diseases, such as cataracts or night blindness. Kiwis contain a large amount of vitamin E and omega-3 and omega 6. 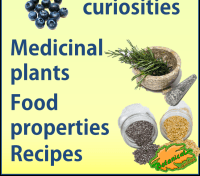 These components have fluidizing properties for the blood, which helps improve the condition of the arteries, preventing blood clots from forming in blood vessels. Thus, eating kiwis will protect against the onset of angina pectoris, heart attack, thrombosis or strokes. Do not forget also the role that fiber plays in the treatment of cholesterol by preventing its absorption in the intestine. Eating kiwi fruits will help cholesterol levels in blood to be lower. Kiwi fruit is a fruit rich in soluble fiber. 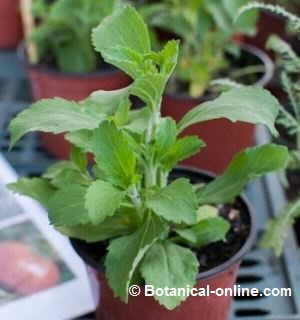 Its ingestion can help improve intestinal transit and prevent the onset of constipation. During breakfast, it is very interesting to eat yogurt or kefir with kiwi. The yogurt for its richness in yeast, helps restore the intestinal flora and the kiwi fruit completes this treatment by means of adding its fiber content that favors the expulsion of feces. Kiwifruit contains a high percentage of water and it has not many calories (63 kcal per 100 gr. ), So, eating a medium kiwi will provide about 40 calories. All this, coupled with its high level of potassium and low sodium content, makes it very convenient for dieting and in all situations where water loss is required. 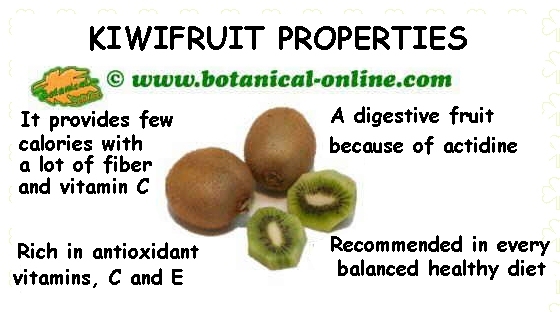 Kiwifruits are very diuretic so they should not be lacking in the diets for obese people. Its use increases the production of urine, which helps to overcome obesity, but is equally useful in situations in which liquid retention occurs, for example in cases such as pregnancy, menopause, heart failure, or liver failure. 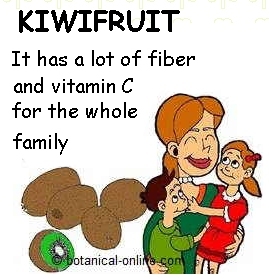 The kiwi fruit is a very suitable food to boost digestion because it contains a proteolytic enzyme called actidine that, similar to bromelain from pineapple or ficin form figs, it is a very interesting component because it helps break up the proteins, preventing gastritis , indigestion and flatulence. However, this protein makes kiwi fruit very difficult to combine with milk-containing homemade products or gelatin- containing ones that are not going to be eaten soon. Actidina destroys the proteins of milk and gelatin, so products containing milk or gelatin will become soft in short time or they will not become solid. To avoid this to happen, we can cook the kiwi fruit before adding it to the milk or gelatin. Hot destroys this enzyme. The advantage of the kiwifruit with respect to many other fruits is that, once cut, it can hold much longer until it loses its color. It stays green and tender so the dishes can be prepared a little before diners come. Dietetically speaking , it is better to eat it immediately so that there is no loss of vitamin C.
Why does kiwi spoil milk? On the other hand, this protein makes kiwi very difficult to combine with recipes that contain milk or gelatin, which will not be consumed soon. Actidin from kiwi destroys proteins in milk and gelatin, so products containing milk or gelatin will become soft in a short time or will not harden. To prevent this from happening, you can cook the kiwi before adding it to milk or gelatin (Cooking destroys this enzyme). There are many ways to eat this fruit. The easiest way is to cut it in half and remove the pulp with the help of a spoon, gradually emptying it and leaving only the skin. If you prefer, you can peel some kiwis and other fruits and slice them horizontally so that you can compose a very decorative dish. This is the usual way to present it in salads or cakes. A very refreshing way of eating kiwifruits is to serve them as a shake mixed with milk and a little honey. In New Zealand, they have a dish called Pavlova meringue, in which the fruit plays a very important role. Kiwi fruits combine very well with cheese. You can cut a few pieces of cheese and some slices of kiwi to dispose on a dish. It is a very delicious and highly digestible combination. 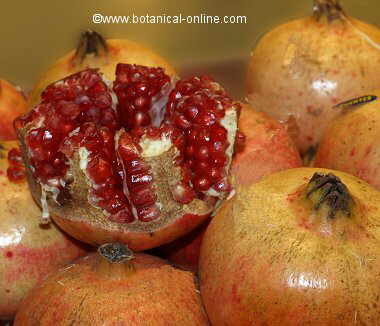 It is better to buy those that are slightly soft to the touch, which is a sign that they are fully ripe. Those who feel hard to the touch are too green. Green kiwifruits have few edible properties and they are less tasty. On the other hand, We should not choose those that are too soft, because they are probably overripe, so they will probably rot too quickly. Who should not eat kiwi fruits? The proteolytic enzyme actidina is toxic for some people who are allergic to it. So, people who have problems digesting other food containing proteolytic enzymes, such as pineapples or papayas, should not eat kiwi fruits. Young children may suffer the negative consequences of oxalates, not even being allergic to them, so they should eat this fruit with great caution. Kiwi fruits are very rich in oxalates. People suffering from a tendency to develop calcium-oxalate kidney stones should avoid eating high oxalate food.